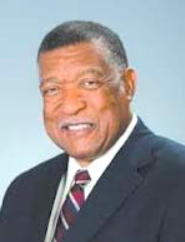 Harris County Commissioner Gene L. Locke has announced plans to improve streets in several neighborhoods throughout Precinct One, including unincorporated areas that are in need of infrastructure improvements. The announcement was made after Harris County Commissioners Court on Tuesday approved a measure that adds $1 million to an existing contract with a firm that will make concrete repairs on dozens of streets. The account previously contained $750,000, of which about $380,000 have been spent on repairs. The latest list includes $909,154 for street repairs. Teamwork Construction Services Inc. will perform the repairs and replacement of concrete pavement, curbs, driveways, sidewalks and related infrastructure. In the east precinct, $702,754 will be spent for work on streets in communities such as Sterling Green, Sheldon Woods, Sonoma Ranch and Beaumont Place. In the north precinct, $93,000 worth of work will be done on street in the Interstate 45 and Airtex area; the I-45 and East Richey area; the Kuykendahl and Ella area; and the North Lake Houston Parkway and Lockwood area. In the south, $113,400 will be spent on roads in South Belt, Scarsdale and Friendswood areas. Since taking office in January, Commissioner Locke has developed an aggressive plan to improve streets throughout Precinct One, both in unincorporated areas and inside Houston city limits located in the precinct. THE OBSTRUCTION OF JACINTO CITY MAIN DRAINAGE KNOWN AS ‘TURKEY RUN GULLY’ HAS BEEN REPAIRED AS AUTHORITIES DISCUSSED AND APPROVED AS FIRST PRIORITY LAST JUNE. 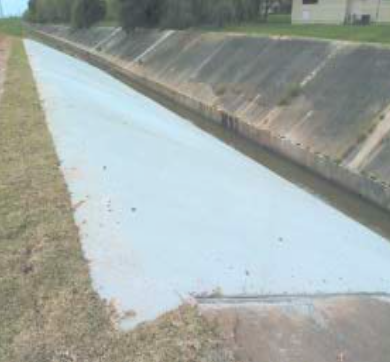 JACINTO CITY – The Harris County Flood Control District main drainage channel from Jacinto City to the Ship Channel had major blockage since November 2014, due to a collapse of the concrete liner along the south surface near Holland Avenue. This drainage channel is known as Turkey Run Gully, emptying into Hunting Bayou to the east, according to local resident Allan Jamail. This channel reportedly is responsible for draining 75% of the watershed around Jacinto City, and citizens were concerned that if a major hurricane were to hit last year, flooding and water damage would be widespread. Marvin James, manager with the Harris County Flood Control District, mentioned to the North Channel Star that repairs for the channel had been bid, and were awaiting approval of the Commissioners Court on June 2, 2015. Mike Sullivan is the Harris County Tax Assessor-Collector. As such, he administers a number of functions that involve the public. 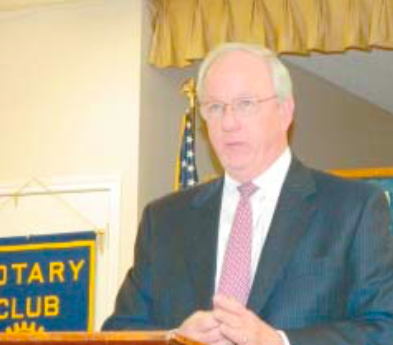 Sullivan was the speaker last Tuesday at the Rotary Club of Highlands, and talked about his career, and the workings of his office. The functions he is involved in include collecting taxes, such as the property tax you must pay every Jan. 31st if you own real property, the inspection sticker fee for an auto inspection (known as ONE STICKER) or trailer, or boat, providing jurors for jury duty, registering autos and administering their titles, and voter registration roles.